This week’s theme is Wall. After a long dry for almost a half of year, rainfall finally comes in, showering the lands, mountains and forests. It’s the time for mushrooms celebrate their days. They are born in various forms on died trees, at piles of dried leaves that rotted or at trash dumps. Nature has the perfect wisdom. Giving chance to every single creature to come alive, even for just couple of days. Mushroom will then die in their own silence. Setelah kemarau panjang selama hampir setengah tahun, curah hujan akhirnya masuk, menyirami tanah, gunung dan hutan. Ini adalah waktu jamur untuk merayakan hari-hari mereka. Mereka lahir dalam berbagai bentuk di pohon-pohon mati, di tumpukan daun kering yang membusuk atau tempat pembuangan sampah. Alam memiliki kebijaksanaan yang sempurna. Memberikan kesempatan kepada setiap makhluk untuk menjadi hidup, meskipun hanya untuk beberapa hari. Jamur kemudian akan mati dalam keheningan mereka sendiri. Sometimes, less is more. For example, earlier this year we heard the happy news that Denny’s in Japan was offering all-you-can-eatpancakes. But as enticing as that deal was, there’s an easy way to improve on an unlimited supply of pancakes, and that’s by losing that “pan” restrictor. So when we heard a popular Japanese bakery has an all-you-can-eat cake deal, we were ecstatic, and then we were out the door to try it for ourselves. There were protests in the streets, and allegations of class warfare and political favours. Even by Vancouver standards, the debate over the city’s latest bike lane grew especially heated. But nearly one year after a stretch of Point Grey Road closed to vehicles, the city says the bike route that was later installed is often the busiest in Vancouver and the plan to shift traffic to major arterial roads has worked. Robert Langdon, the hero of Dan Brown‘s thrillers was intriguing in The Da Vinci Code, Angels & Demons and The Lost Symbol. Now he is almost unbearably suave, debonair, and fascinating in Inferno. Infernois a page turner. The author has created a formula for best sellers. Each is, in its own way, entertaining and fast-paced. Inferno is no exception. In this adventure set in Italy, loosely following stuff drawn from Dante Alighieri’s Inferno, Brown offers readers a sense of inclusion, as if we are all reading something that contains Truth and Meaning, but without requiring we perform any real mental exercise. The formula works. 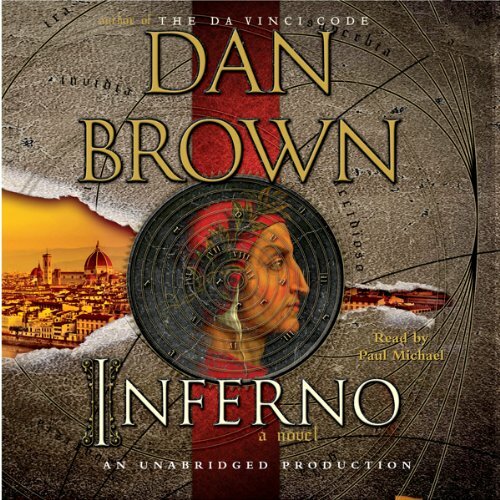 Inferno — all 560 pages — whisks you along while feeding you tantalizing tidbits of apparently arcane knowledge. You feel you’ve been let into an exclusive club and taught the secret handshake.